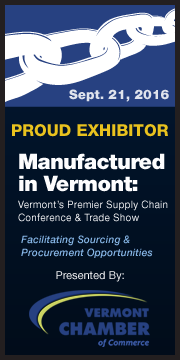 SymQuest will be an exhibitor at this year's Manufactured in Vermont Expo to be held September 21, 2016 at the Champlain Valley Exposition in Essex, VT. Manufactured in Vermont is a business-to-business event for manufacturers, OEMs and sub-contractors to connect and develop business for contracts and enhanced supply chain opportunities. Visit SymQuest at booth #204 to view our state-of-the-art document and IT solutions for your industry.